Actually you'll need to start with a CiviCRM Relationships View. If you start with a view of CiviCRM Cases, you may get bad data if they have multiple open case types with different case managers. 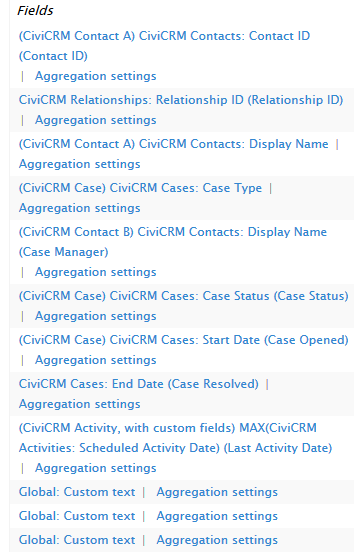 So create a new view of CiviCRM Relationships, then in the advanced section add the Case ID relationship, then add the Contact A (the client) relationship and finally the Contact B (the case manager) relationship. Add a Display Name field using relationship Contact A, then add another Display Name field using Contact B. Not the answer you're looking for? Browse other questions tagged civicase drupal-views roles or ask your own question.